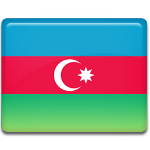 Republic Day is a public holiday in Azerbaijan that commemorates the establishment of the Azerbaijan Democratic Republic in 1918. It is celebrated annually on May 28. During the 19th and early 20th century, the territory of Azerbaijan was under the rule of the Russian Empire. After the February Revolution of 1917, the Special Transcaucasian Committee was created to govern the territory where Azerbaijan, Armenia and Georgia were situated. In February 1918, the Transcaucasian council (Sejm) proclaimed the Transcaucasian Democratic Federative Republic which collapsed three months later. On May 28, 1918, the Azerbaijani National Council proclaimed the independence of Azerbaijan and the establishment of the Azerbaijan Democratic Republic. The newly founded republic was the first secular and democratic republic in the Islamic world. Sadly, it existed for two years only. It 1920, Azerbaijan was occupied by the Soviet Red Army. Nevertheless, the establishment of the republic was a very important event in the country's history. Republic Day in Azerbaijan coincides with First Republic Day in Armenia because both countries proclaimed their independence from the Transcaucasian Democratic Federative Republic on the same day. These holidays were not celebrated during the Soviet era, they were declared as public holidays after the collapse of the USSR.